There are currently some 57 Ainz & Tulpe stores across Japan. 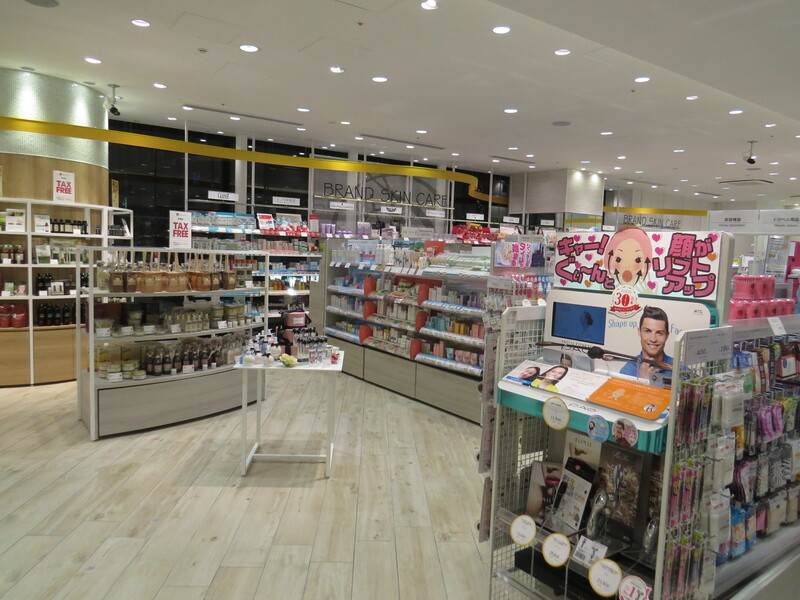 They are urban drugstores that target a clientele of sophisticated 20+ women – and the Ainz & Tulpe stores definitely look more stylish than the outlets of the big Japanese drugstore beauty retailers like Matsumoto Kiyoshi, Sun Drug, Cocokara Fine or Sugi Drug. The Shinjuku store is the second largest Ainz & Tulpe in Japan and it is the chain’s Tokyo flagship store. 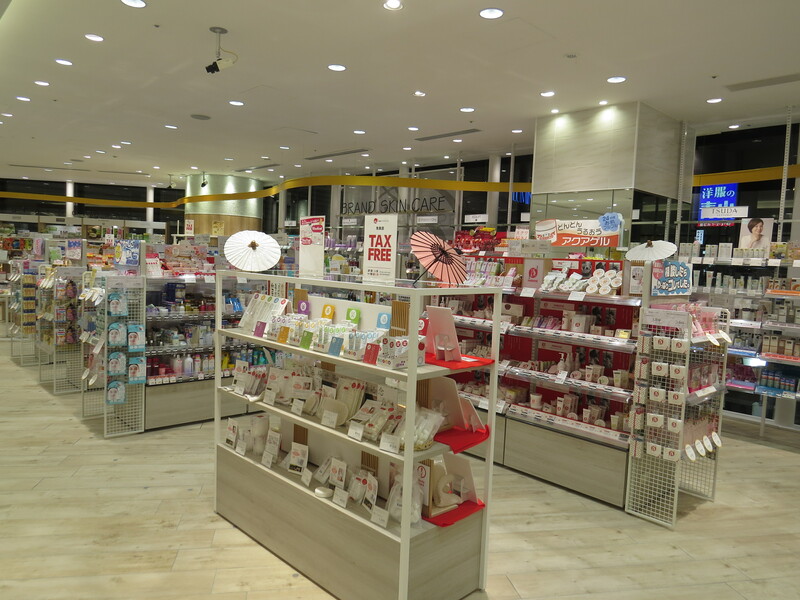 The biggest Ainz & Tulpe store, Le Trois, was opened in September 2015 in Chuo ward in Sapporo province. It sounds pretty spectacular – eight floors plus two basement levels including beauty clinics and salons; it’s positioned as a beauty retail and experience destination. 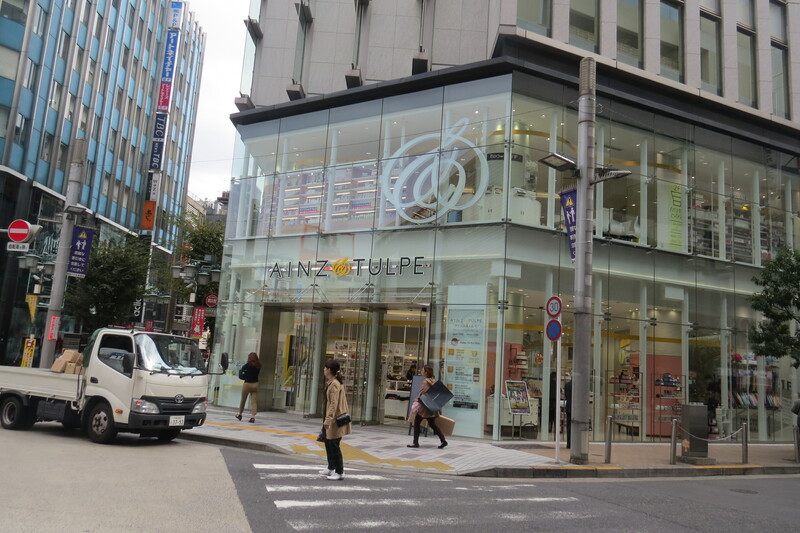 And the company is hinting that the new Shinjuku and Sapporo stores will define the future strategy of Ainz & Tulpe. Sounds promising! But now, let’s check out the Shinjuku Ainz & Tulpe! The store is easy to locate: just look for the giant glass-fronted entrance! 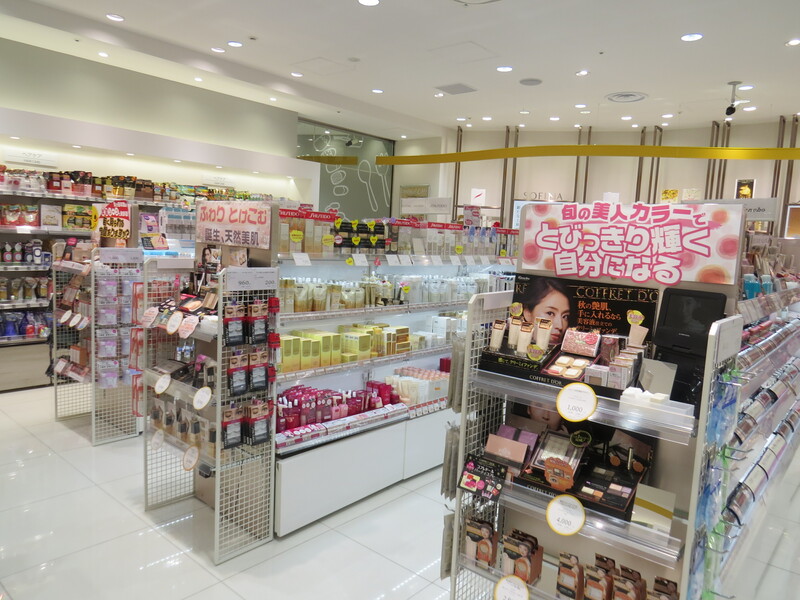 As you enter you see a counter of Japanese brand Ayura on the left hand side. 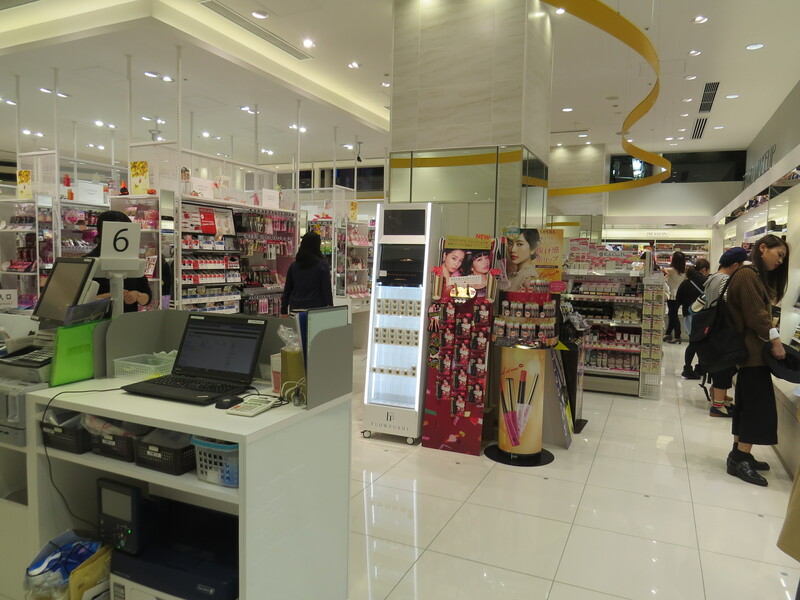 On the right side of the entrance area is a large boudoir-inspired retail area with Lips & Hips skin, bath and body care and straight ahead you’ll find colour cosmetics and beauty gadgets. Ayura and Lips & Hips are both Ainz & Tulpe-owned brands. 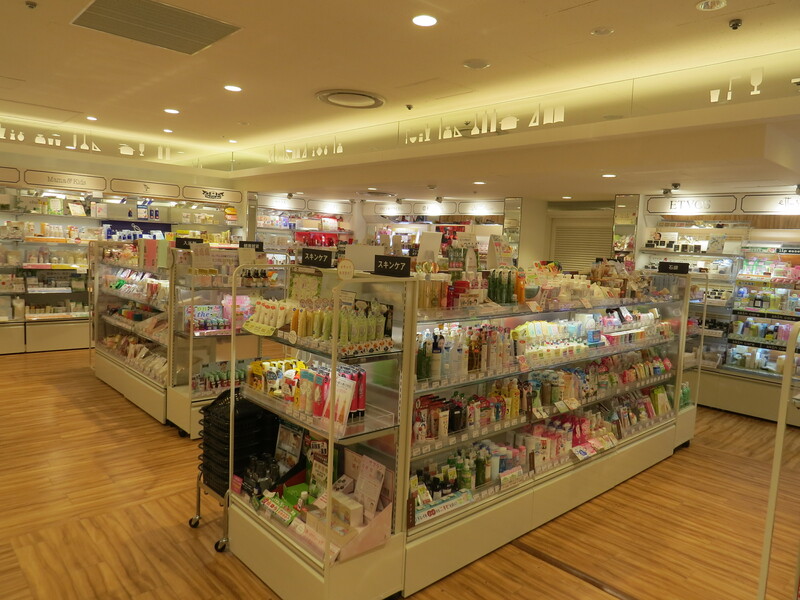 In June 2015, Ain Pharmaciez acquired the Ayura division from Japanese C&T manufacturer Shiseido. Ayura is not exclusive to Ainz & Tulpe stores, the brand is a classic department store brand and it is also retailed online but from now on it will be a key beauty label in Ainz & Tulpe stores, says the company. Lips & Hips, on the other hand, is a real own label brand. Launched in July 2015, Lips & Hips was introduced first at the new Shinjuku Ainz & Tulpe but is currently being rolled out to the Sapporo store. Eventually, there will be stand-alone Lips & Hips stores as well. Ain has also announced that it will continue to launch new own label beauty brands in other product categories. Then we are taking the escalators up to the first floor: skin care heaven! 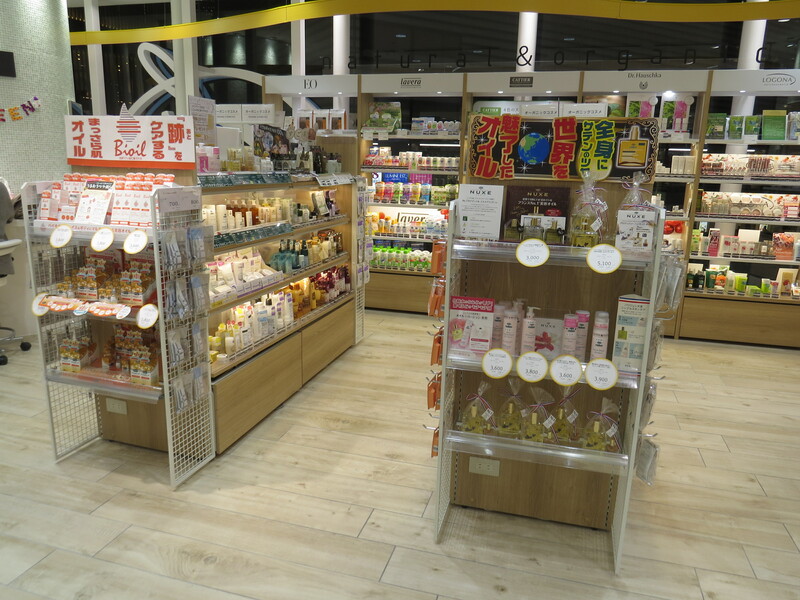 Japanese brands, Asian brands, Western brands plus a special section for imported organic beauty brands – most of them from Germany: hello Logona, Lavera, Weleda and Dr. Hauschka! The organic section also features Cattier from France and EO Products from the US. There are several Japanese organic beauty brands such as Leaf & Botanics and a number of natural-inspired brands which are shelved separately – I’m impressed that Ainz & Tulpe is making such a clear distinction between the certified organic import brands and the natural-inspired and near-natural labels. 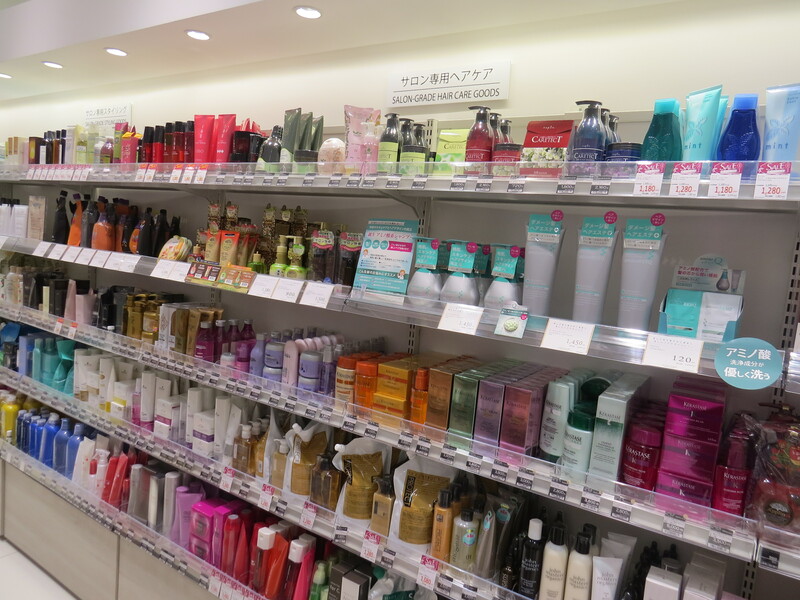 And now we are moving on to my personal highlight: the regional Japanese beauty brands! 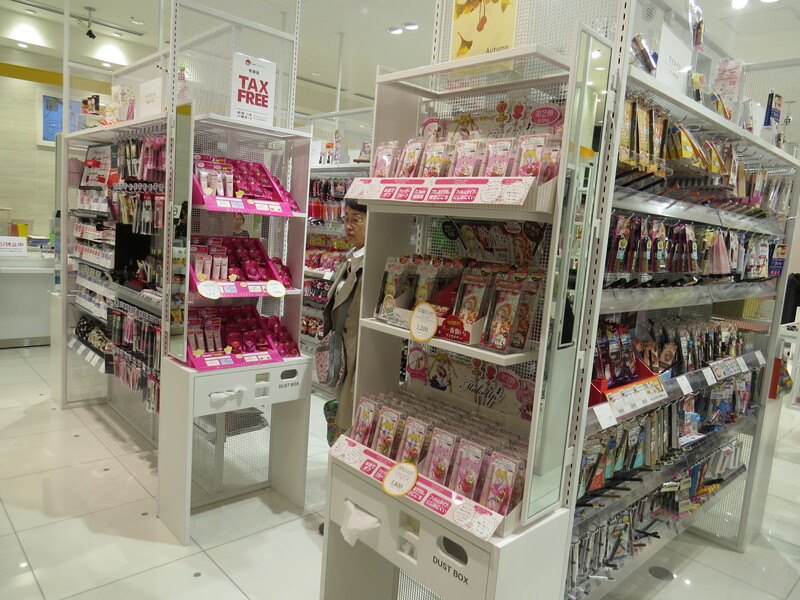 They are displayed near the cashier area and are clearly flagged up as “made in Japan”; there are also a couple of strategic “tax-free shop” signs. On each shelf you have a little poster with a map of Japan, the name of the province and the ingredient that this province is most famous for: Aomori, for example, is known for apples, Akita for rice, Niigata for sake, Yamagata for pears, Okayama for olives, Okinawa for camellia seed oil…. Most of the regional beauty brands have a natural slant and some are even organic – like Satamisaki Organics from Kagoshima prefecture in Kyushu, Japan’s most Southern island. Kyushu has a sub-tropical climate and plant-life and Satamisaki’s products include some very interesting-sounding herbal extracts – shell ginger, for example (Alpinia zerumbet, a perennial ginger plant). I simply couldn’t resist and bought the Satamisaki Shell Ginger Water and the Tsubaki Balm. 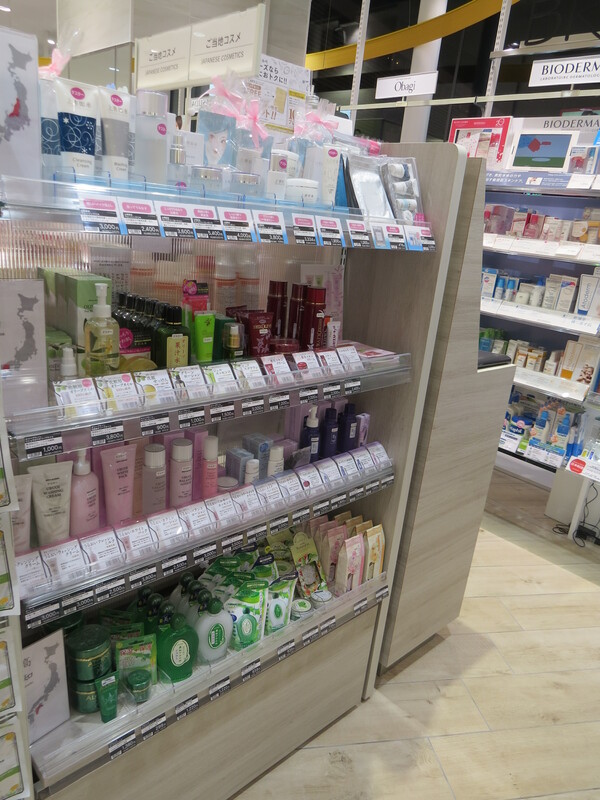 I was also delighted to see cute little Hokkaido brand Lavender+ on the Hokkaido shelf – I had first met the brand at CosmeTokyo 2014 trade show last year and liked it immediately. 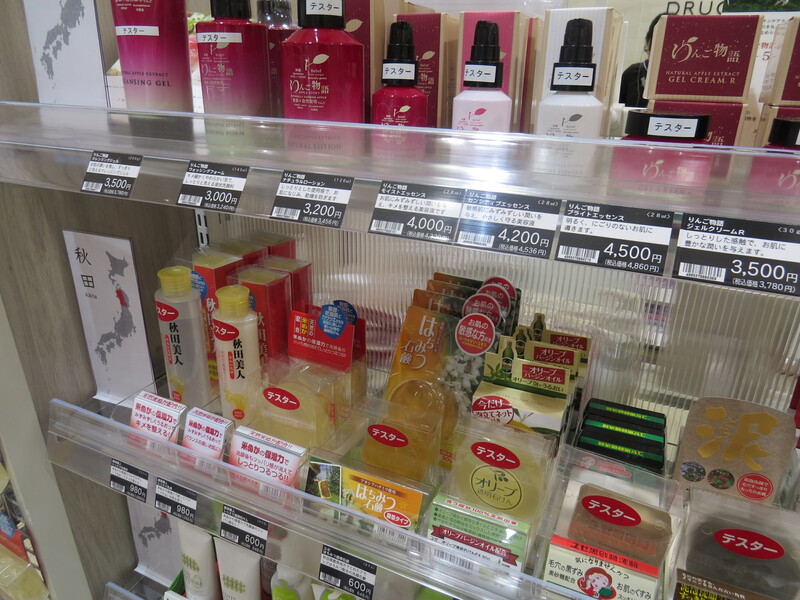 There is also a large shelf with Makanai Cosmetics (a charming Japanese organic beauty brand). The first floor also features the “Ayura” café where you can refresh yourself with a coffee, ice cream or something sweet. 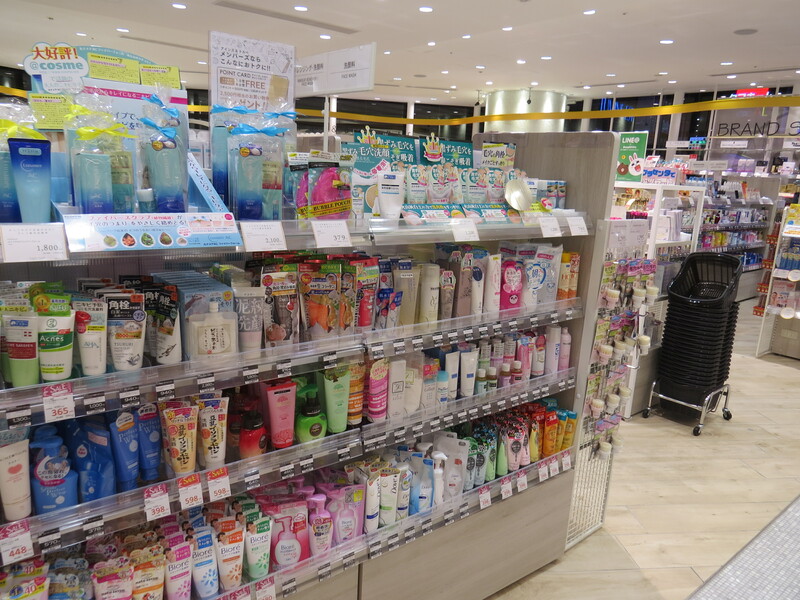 But we still have the basement area to visit so we are going down to B1F and there is bath and body care, hair care (plus a special section for salon hair care), foot care (a very large shelf! 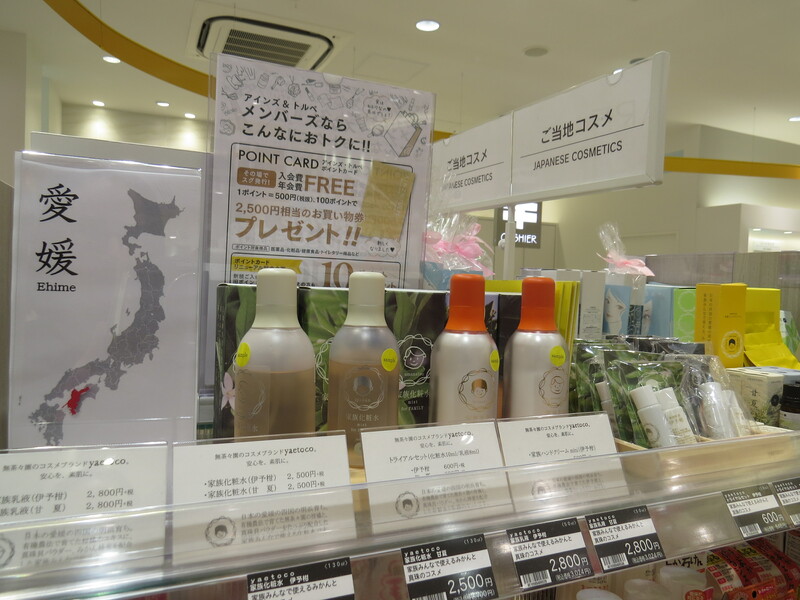 ), hosiery, health foods, beauty and wellness gadgets and the counters for brands like Kosé, Sofina and Kanebo – classic Japanese high-end perfumery beauty brands. 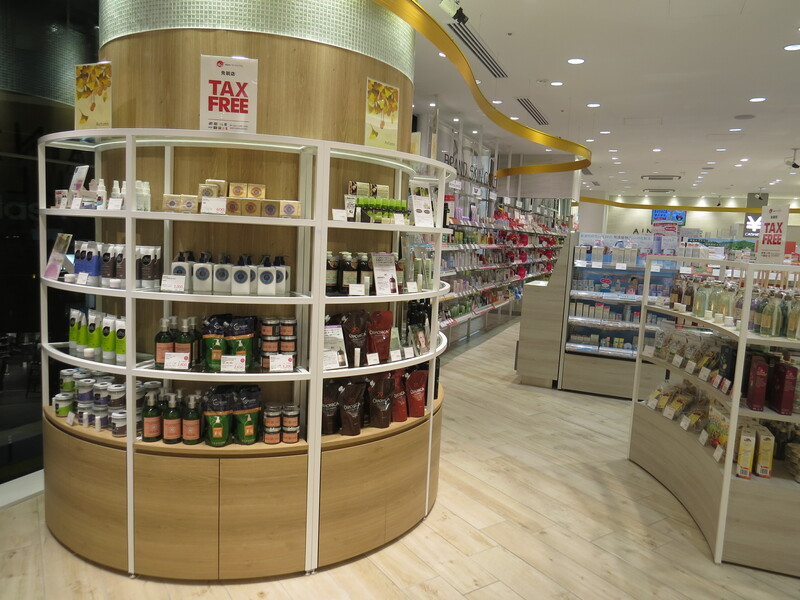 In the basement area you’ll also find the tax-free counter (the store is heavily geared towards tourists – hence the regional Japanese cosmetics and Makanai which are popular beauty souvenirs). 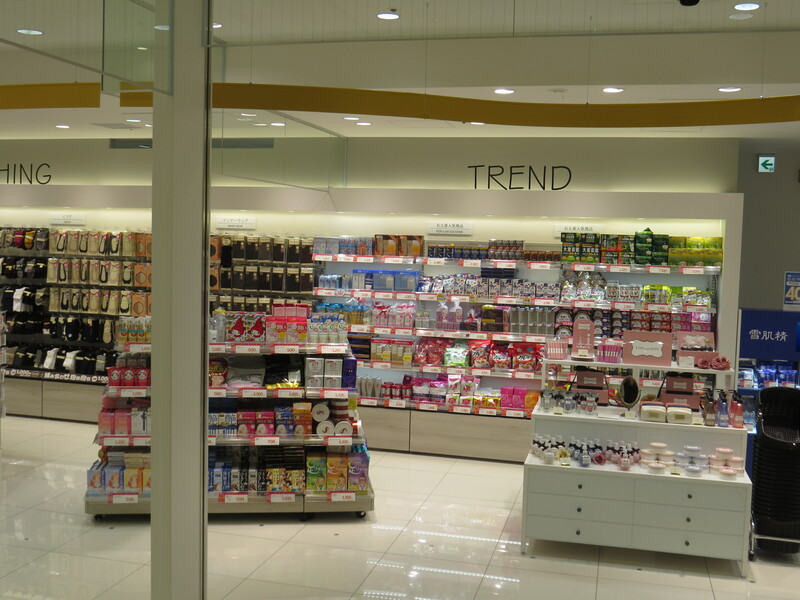 I really liked this store – great choice of C&T brands, some cool organic beauty labels, regional Japanese cosmetics; Japanese rock/pop as a background music and an elegant and fluid product presentation. And they are open until 11pm every day! Hi! I know this blog was two years ago but the information is still relevant to the vlog I made when I went to this branch. Can I link this article? My vlog is under 2 minutes and people who might need further information can get a lot from this blog. May I? Hi! of course you can link to the article; thanks! The info is still pretty up to date as far as I’m aware; I visit that particular Ainz & Tulpe every time I’m in Tokyo and although the store has made some slight changes inside the store (a somewhat different layout and so on) the bulk of the information should still be correct. Thanks for following my blog!